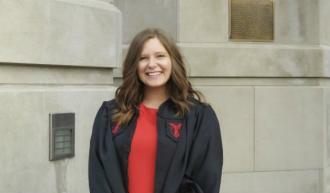 After graduating from Ball State University in May 2018 with a Bachelor&apos;s in Advertising and minors in Marketing and Spanish, I accepted a position as a Digital Marketing Specialist in Downtown Indianapolis. I soon realized that the company and the city was not exactly my cup of tea, and that I would rather work somewhere where I could immerse myself in the location, people and culture. I decided to make the trek to Northwest Indiana with my boyfriend and our adopted dog Chance, after accepting the role as Social Media Specialist for the South Shore CVA. I have always loved digital media, the analytics behind it all, and being social in general, so this position was the perfect combination of all of these for me! I am happiest about the opportunities to explore the South Shore and to be a part of the community I live in. It forces me out of my comfort zone, and lets me share all there is to do with everyone in Northwest Indiana through our social media platforms. Although I am a long way from home (Evansville, Indiana) my boyfriend and I reside in Munster, which is his hometown, and are loving the Region life so far! I am beyond excited to see where this position and this area takes me.